In Texas, we’re all about bigger being better and life being easier and breezier. 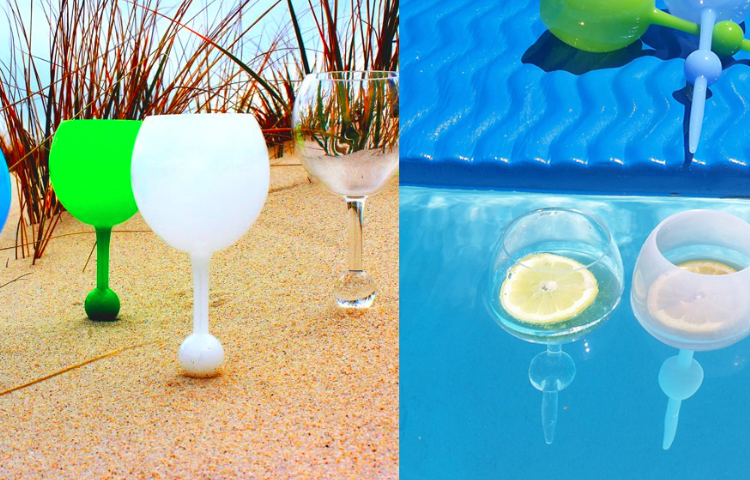 These wine glasses will definitely make your summer easier. Whether it’s while you’re lounging by the pool, playing bean bag toss with your friends in the back yard, attending some epic Texas Event, or venturing down to the gulf to stick your toes in the sand. The Beach Glass is one of the niftiest new inventions we’ve seen in a long time. 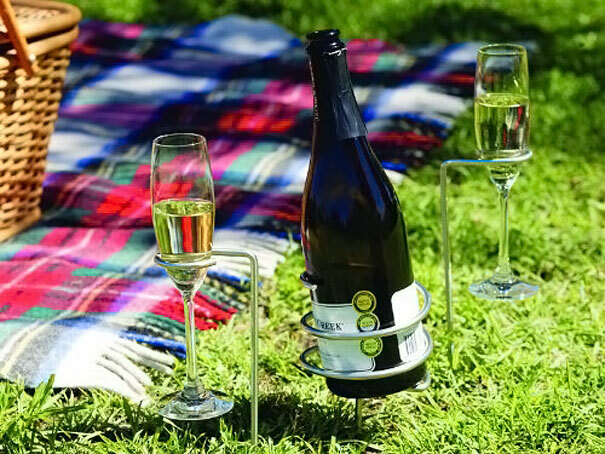 It floats on water, holds its own in the grass or sand, and helps you have a fabulous time without having to constantly think about where to put your glass down! Can we say win-win-win?! Wine Stake Set that holds your glasses, plus a bottle of wine in whatever outdoor ground setting you’ve got! Get them in a set with two or four glass holders. For when you’re doing a solo tasting or when you and your besties are out at that concert series on the lawn. 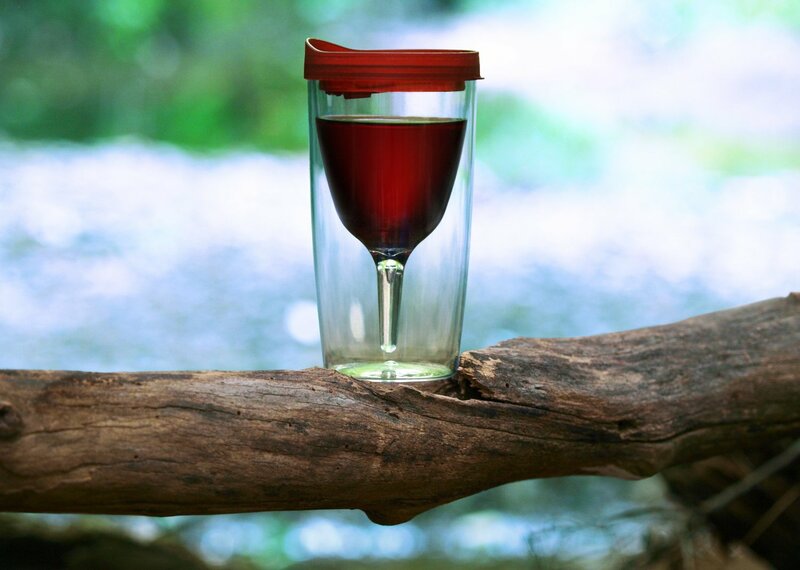 Plastic Wine Tumblers for those times by the pool, at outdoor concert or movie nights where real glass just isn’t allowed. Bonus points if you can balance it on a tree branch without spilling a drop. Venture out to one of the lovely Texas Wineries to find some delish vino to fill these glasses with as you take on the summer!